Join the Providence Community Emergency Response Team – Class Starting Soon! 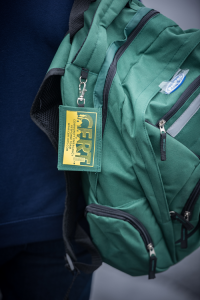 The Community Emergency Response Team (CERT) class is a free 20-hour course that teaches basic disaster preparedness and response skills including how to use a fire extinguisher, disaster medical operations, light search and rescue, extrication, cribbing, disaster psychology, incident command system, and responding to terrorism. The Providence Emergency Management Agency (PEMA) holds CERT classes 2-3 times per year with the next class starting in September! Each student will receive a CERT shirt, certificate of completion, and a response bag with equipment. The class consists of 8 units that are covered in 7 sessions followed by a hands-on “rodeo” where students get the opportunity to demonstrate the skills that they learned in a simulated disaster environment. 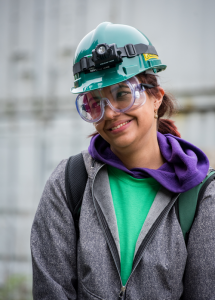 In May 2018, PEMA spearheaded a state-wide CERT exercise at the State Fire Academy in Exeter, Rhode Island. There were approximately 50 participants representing 9 local municipalities. 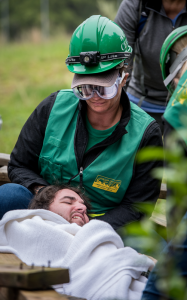 This nine-hour exercise consisted of fire extinguishing, hands-only CPR, victim extrication from a building, urban search and rescue, victim extrication from a disaster pile, generator usage, a simulated flooding situation, and all simulation victims were made up with realistic injuries. These injuries included simulated severe bleeding and required tourniquet application. 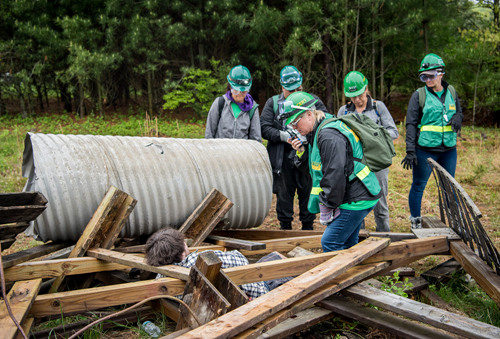 This exciting exercise gave CERT members an opportunity to practice important skills, meet members of other CERT teams, and gain experience in responding to disaster scenarios.